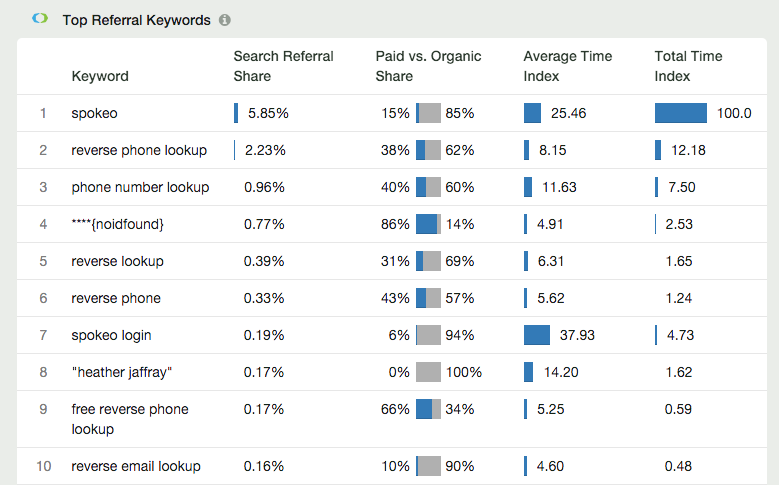 Want to know which keywords refer the most visitors to your competitors? For definitions on each of these terms, visit our help documentation. It’s useful to understand which keywords are referring the most visitors to your competitors. You are likely to find that there are a few keywords delivering most of the traffic to your competitors. If you’re not trying to rank organically for or advertising on those keywords, you might want to start. In the example report above, you can see that spokeo.com receives 2.23% of their traffic from the keyword “reverse phone lookup” and another 0.96% from “phone number lookup”. While those percentages may seem small, according to Compete, their website receives over 6 million visitors a month. So from just these two keywords, they receive around 180,000 unique visitors month from them. I should mention that these are exact match keywords, this does not include the long tail, typos or other variations of the same keyword. You can also see that for both keywords, they’re getting traffic from both paid and organic search. They get 38% of their traffic on the keyword “reverse phone lookup” from paid search and 62% of it from organic search. If you were competing with them in the people search business, trying to organically rank for and advertising on those keywords them might be a very wise idea. What keywords are referring the most visitors to your competitors? Find out today! Our top referral keywords data is now available to all of our paid users. Not a paid user yet? 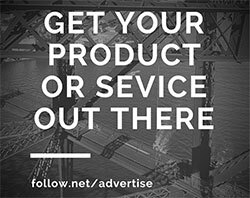 Upgrade to Follow Pro today! This entry was posted in Uncategorized on September 14, 2015 by Wes Mahler.